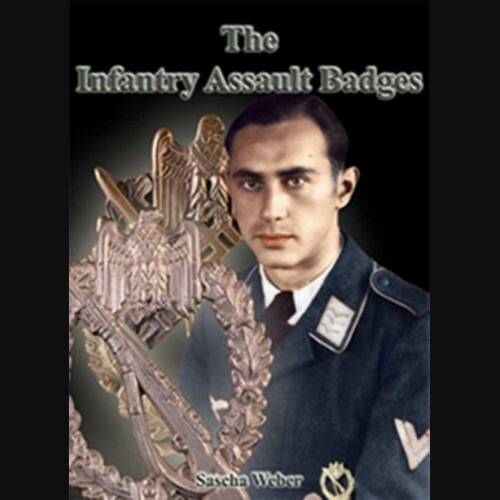 This book is the first work specifically devoted to an in depth study of the Infantry Assault Badge, one of the best recognized awards of the German military during World War Two. Over 1000 color photographs trace the history of the "Infanterie-Sturmabzeichen" and present multiple views of examples of the badges by all known (and some unknown) manufacturers. Clear color pictures and specification tables of unprecedented detail provide the collector with a wealth of knowledge that has been heretofore unavailable. Award documents and issue packets are also covered in this comprehensive work. This book is a first rate addition to anyone's military library. Over 250 pages and more than 1000 pictures.